This opening song from the 1965 album "Bringing It All Back Home" is one of the great rock songs. It's a proto rap from a time when people didn't talk their way through songs like Dylan does. It's also a grim road map for the middle-class American man as he struggles to find his road to prosperity, house, wife, kids, dog, car and on and on until he dies. 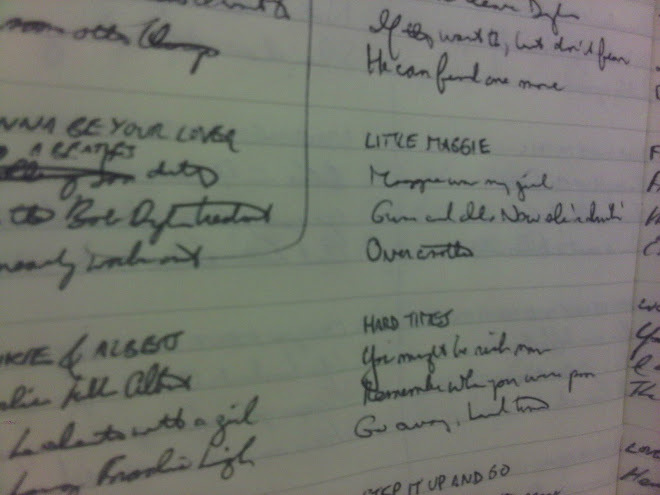 Here are the lyrics. There's no point in interpreting what's already clear. Hello Robert, Thank you for posting this slice of musical history. 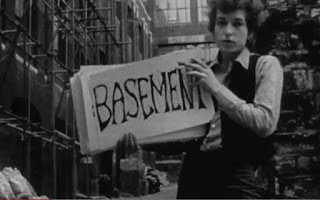 Come and join us inside Bob Dylan's Music Box http://thebobdylanproject.com/Song/id/602/Subterranean-Homesick-Blues and listen to every version of every song composed, recorded or performed by Bob Dylan, plus all the top covers.